The $20,000 Open Welcome Stake on Thursday, July 1, was conquered by Hunter Holloway of Topeka, KS, aboard VDL Bravo S owned by the Hays Investment Corp. with a jump-off time of 37.635 seconds. E-Unanime De La Haie piloted by Will Simpson of Westlake Village, CA, and owned by Monarch International, took second place with a time of 39.744 seconds. Third place honors were awarded to Super Bad ridden by Karen Cudmore of Omaha, NE, and owned by Blair Cudmore, finished in 41.866 seconds. Holloway piloted VDL Bravo S to the victory, but also noted that her second mount, Cassevel, is also a talented asset to her string. 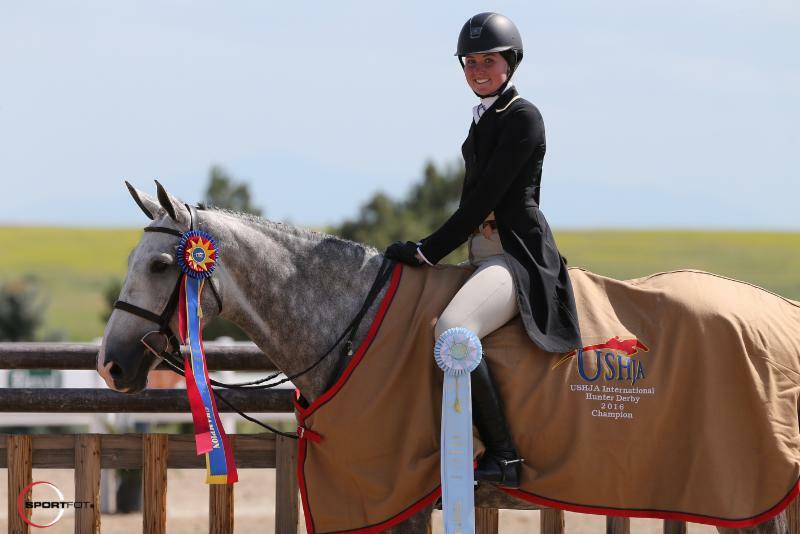 She spoke about her two rides in the class, noting, "I have two really talented horses right now. They are just unbelievable. I've been riding them both for over a year now, so I know them both pretty well and I was going in there to win, for sure." "VDL Bravo S and Cassevel are always up to the task when it comes taking the lead and today I was able to rely on VDL Bravo S. He really stepped up to the plate on Thursday. He was especially amazing in the jump-off," she added. Holloway went on to speak of VDL Bravo S specifically and their relationship over the past year. The pair has collected major results during their spring campaign and maintains high expectations for the upcoming fall season. "I've always had a special bond with him. A little over a year ago in Florida I sat on him for the first time and I immediately said 'I love this horse, he's perfect'. We clicked instantly." 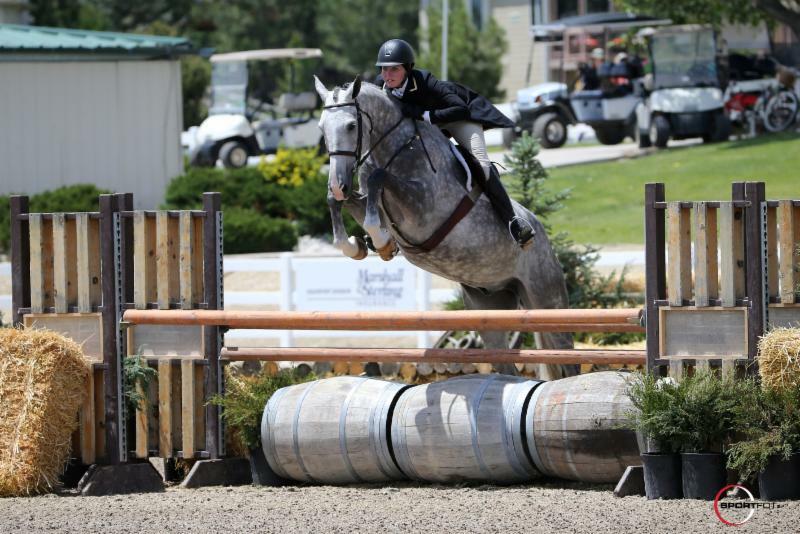 The highlight of the week for hunter riders was showcased in the $50,000 USHJA International Hunter Derby, which was topped by Hunter Holloway of Topeka, KS, aboard The Governor, who is owned by the Hays Investment Corp. with an overall score of 357.5. Second place honors were bestowed upon Tommi Clark of Agoura Hills, CA, and Black Jack, owned by Stephen Borders, with a two round score of 356. Kelli Cruciotti of Elizabeth, CO, and her own Monterrey, secured third place in the class with a score of 349. 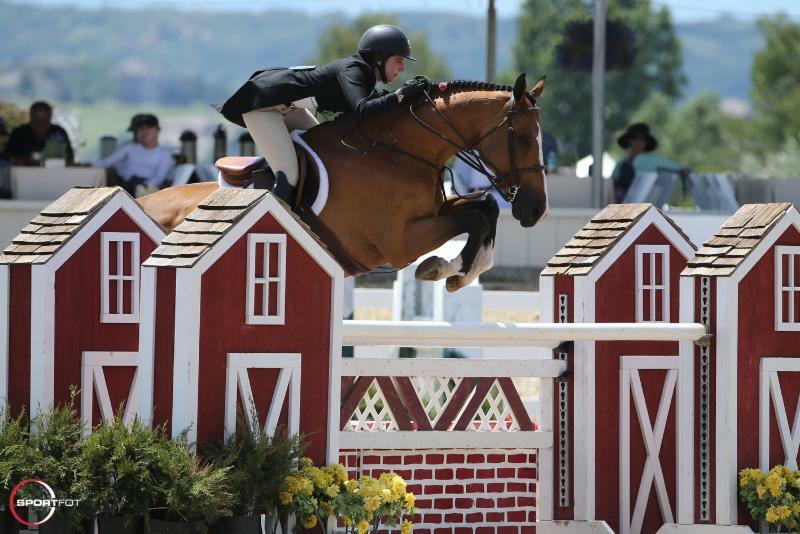 Holloway transitioned her success from the jumper ring throughout the week at SIR IV to the hunter ring, snagging the win aboard The Governor in the largest hunter derby offered at CHP this season. Holloway and her mother, Brandie, imported The Governor from Europe last season and have been slowly moving him up the ranks. She went on to comment on their success, stating, "I was pretty excited with The Governor and his performance. He's been an amazing horse. His forte is definitely in the derbies. No jump is too big for him and no line is too long for him." Holloway smiled and joked after her win, noting, "In another life, he would be a grand prix horse! He's brilliant over the bigger jumps with incredible scope. It is insane how much scope this horse has." The course asked several tough questions and offered large high options, which Holloway and The Governor responded to well, earning them the high score for the class, which saw sixteen entries in the first round of competition. "The last jump was the most difficult for me. It was a big airy vertical. It invited the horses to rub it at the approach. The Governor is very careful, so I wasn't too worried about it, however, I definitely thought it was going to be an area of concern when I was evaluating the course." 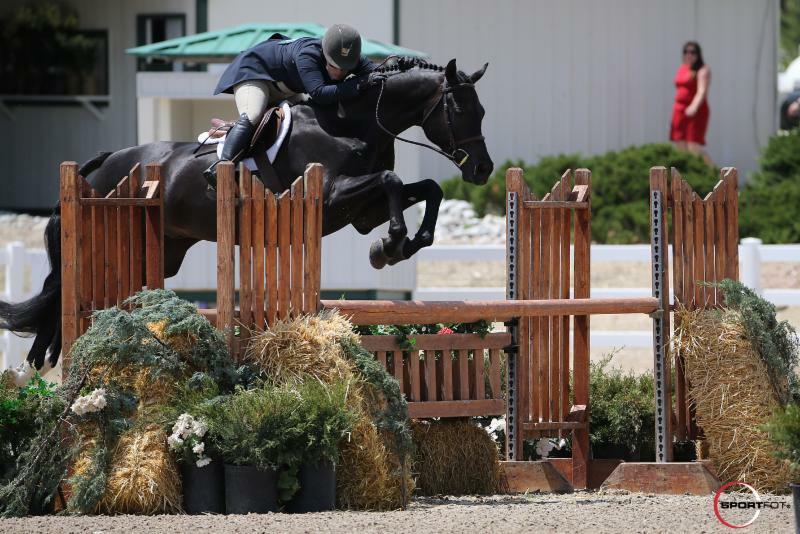 Looking forward into the continuation of their season, Holloway hopes that the future will hold a successful ticket to USHJA International Hunter Derby Finals in Lexington, KY, later this summer. Holloway, who highly praises the natural talent of The Governor went on to describe her aspirations for competing in the most prestigious competition for hunter riders around the world. Hunter Holloway and The Governor in their presentation ceremony after capturing the $50,000 USHJA International Hunter Derby. "I think he would definitely shine at Derby Finals," she added, smiling. "I always feel really confident on him and that can make our rounds really spectacular because I know that he can go out there and jump anything on course."